I did not go out yesterday to get some rest - even though I'm perfectly alright - so I did not take any photo! 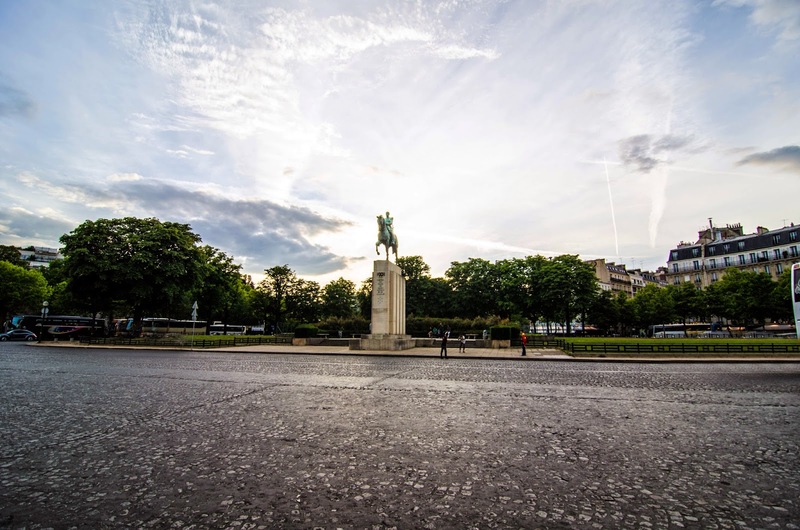 Here is one I took about a month ago and never used, even though this scene will probably look familiar to you as I have showed you this statue (the one of Maréchal Foch, a WWI French hero) several times. Traffic on this roundabout is generally very dense, so I must have been lucky! Very dramatic shot, and somehow fitting to feature him, given the centennial. It looks like you took this one in the early morning. Very peaceful. You are indeed very lucky to get a clear shot. I do not have such luck. I only get shots like this after hours of Photoshopping. so your body needs rest... even if _you_ don't think so. wise of you, to listen to your body... even though _you_ still insist, that _you_ are fine. I've removed a few cars (people, garbage cans, electrical wires ...) with Photoshop too. But you just seem to have a knack for finding the perfect moment of calm. And Tessa is right, you know.